Sterling silver 3mm bangle, formed as an oval for ease to wear. 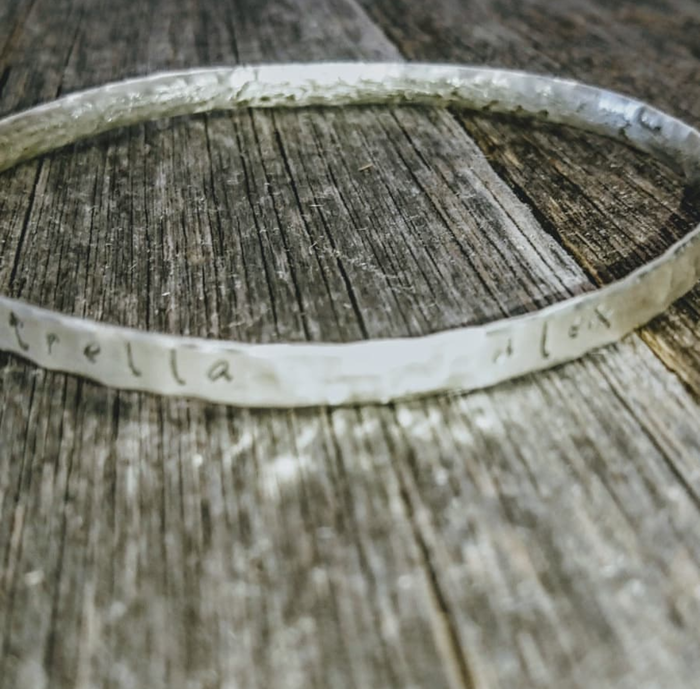 These handmade bangles can be personalised on the outer or inner surface with the option for a plain or hammered finish. In the example you see a bangle hammered on the inner surface with childrens names. When ordering please advise the width of the recipients hand measured across the widest part. It is also possible for this to be made with a clasp, particularly useful if you have slimmer wrists than hands.